Adapted from the bestselling novel by John Green, “Paper Towns” is an exciting and entertaining coming of age story that tells the story of Quentin (Nat Wolff), a romantic and studious teenager, who is in love with Margo (Cara Delevingne), his beautiful and enigmatic next-door neighbor. Good friends as children, they have since grown apart. But one night, towards the end of high school, Margo persuades Quentin to join her on a wild, night long adventure, which involves a series of outrageous pranks. But the next day, Margo disappears. Q and his friends set off on a road trip to track her down. 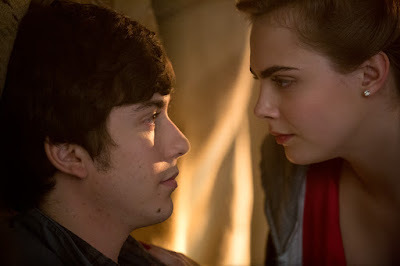 One of this year’s much-awaited teen movie event, “Paper Towns” opens very soon this July 23 from 20th Century Fox to be distributed by Warner Bros.